Divided We Stand actually feels like the start of something interesting for Ed Brubaker’s run on Uncanny X-Men. It’s a story arc that heralds a bold new direction for Marvel’s merry mutants in the wake of Messiah Complex, taking the team out of their comfort zone and suggesting that Uncanny X-Men will be moving a little outside its comfort zone and trying something different. It’s a story arc that sees the team reflecting on the past and considering the future. So, naturally, it is Ed Brubaker’s last solo arc on Uncanny X-Men. Chris Claremont’s studio looks a lot like you might expect. Joining me online for a conversation about his work, the webcam allows me a glimpse of Claremont’s working area. As befits the man who wrote Uncanny X-Men (along with quite a few spin-offs and tie-ins) for seventeen years, the place is overflowing – with what look like notes and sketches, stories and ideas. Some of these many papers are filed away neatly into boxes, some are sorted into giant stacks, some threaten to break free and consume their creator whole. Much like Claremont’s imagination and energy, these pieces of paper seem infinite – far too much to be contained in the space afforded. It isn’t only Claremont’s study that evokes his creative process. He talks in a style familiar to anybody who has ever read any of his work. Answering the onslaught of questions, Claremont remains articulate and clever – often answering with wry wit and a knowing smile. Subjects mentioned in passing become vitally important later on. Stories go in directions you don’t expect. What starts as a joke ends with an honest insight; what begins as profound statement ends with a clever punchline. Marvel went through a phase of publishing books based around “The End” of various iconic properties. These comics allowed creators to imagine telling the last possible story for a given character or corner of the Marvel universe. Creators like Garth Ennis or Peter David got to write stand-alone one-shot stories for The Punisher and The Incredible Hulk, respectively. 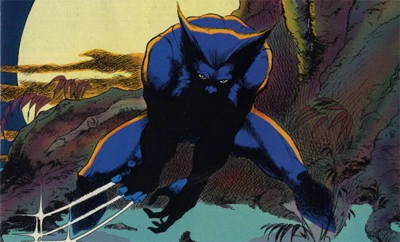 Paul Jenkins wrote a six-issue miniseries Wolverine: The End, while Jim Starlin closed off the entire Marvel Universe with Marvel Universe: The End. However, given the sprawling and expansive continuity of the X-Men franchise, it stands to reason that any attempt to tell the final X-Men story would have to be a rather epic tale. 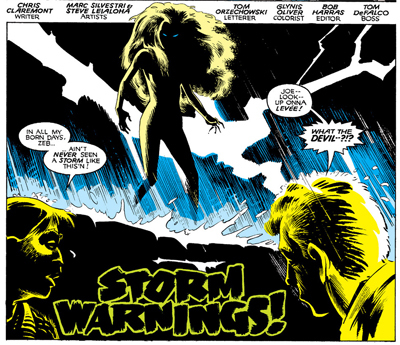 Writer Chris Claremont wrote Uncanny X-Men for well over a decade, so even asking him to close off his own threads and plot points would take up considerable space. However, X-Men: The End is an absolutely sprawling comic book saga that is spread across three miniseries and eighteen issues. In a way, it feels like a touching coda for Claremont’s version of The X-Men. 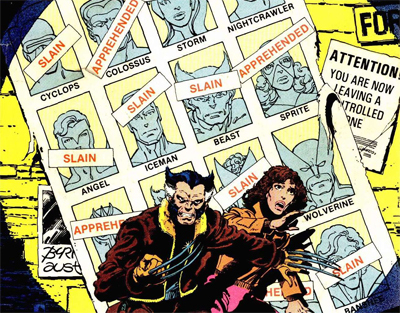 The writer defined the X-Men franchise, introducing many of the plot and character elements that readers would come to take for granted when reading an X-Men story. The End isn’t Claremont’s last X-Men story by any stretch – the writer still works on the franchise quite frequently in a variety of different roles, enjoying short runs and long runs. However, The End does seem to serve as an epic farewell tour of the world that Claremont helped to build and define. As such, it’s fitting that the miniseries is somewhat clunky and awkward and epic and sprawling and melodramatic and overblown and absurd and unexpected. 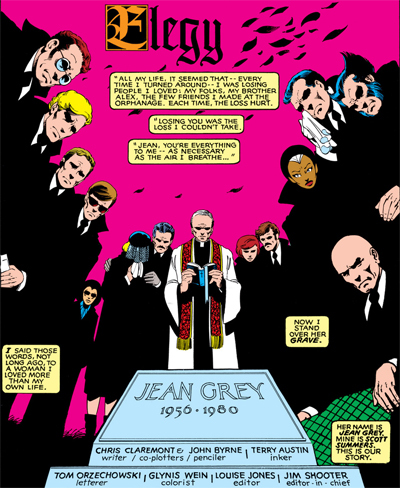 It is a capstone to Claremont’s gigantic X-Men epic, a closing statement and thoughtful summation to decades of work. One of the things that is most striking about Ed Brubaker’s work on Uncanny X-Men is just how disjointed the whole thing is. Announcing his arrival on the franchise with the Deadly Genesis miniseries, it seemed like Brubaker was really planning on shaking things up. 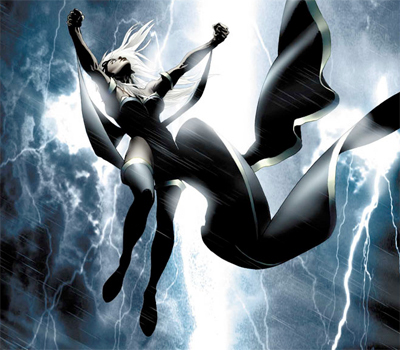 Like Brian Michael Bendis had done for The Avengers with Avengers Disassembled, Brubaker’s Deadly Genesis had attacked some of the foundations of the X-Men franchise. Brubaker’s first arc on Uncanny X-Men did follow up on some of the threads from Deadly Genesis, but not the obvious ones. 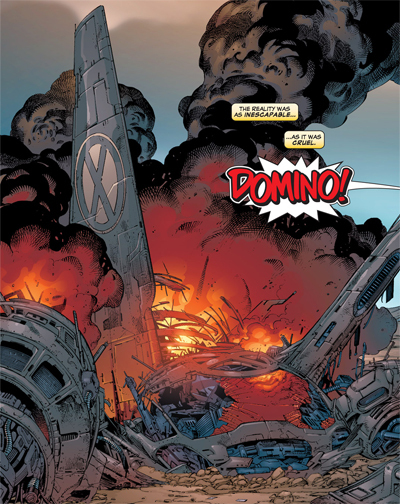 The Rise and Fall of the Shiar Empire was a twelve-issue story featuring a bunch of X-Men launching themselves into space to recover Gabriel Summers and become embroiled in a galactic power struggle. It was very far from what fans had come to expect from the franchise, and worlds apart from the tone of Deadly Genesis or House of M. It felt strangely disconnected from a book that should have been driving the franchise. His second story arc on the title, The Extremists comes towards the start of Brubaker’s second year on Uncanny X-Men, and it still feels decidedly uncertain. 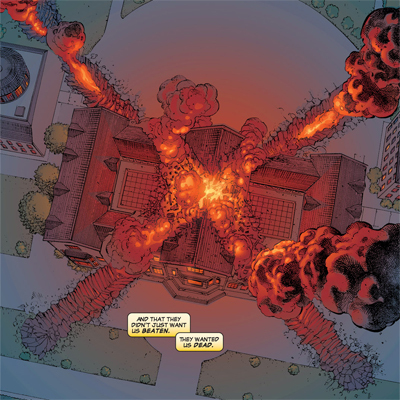 A five-issue story arc about terrorism and religion, The Extremists is incredibly engaged with contemporary American politics. It feels like an entirely different story from The Rise and Fall of the Shiar Empire, as if Brubaker has suddenly decided to alter the direction of his run. The Extremists is a story that feels like an orphaned part of an X-Men epic that never quite developed, a small segment of a whole that doesn’t actually exist. It’s easy to imagine The Extremists as part of an untold post-9/11 Uncanny X-Men saga that may have spun off from Deadly Genesis and brought the comic into the twenty-first century. Unfortunately, with Brubaker’s run being pulled in multiple directions around it, it can’t help but feel a little hollow.